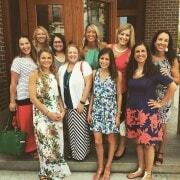 Today’s “a day in the life” is Lisa of Snappy Gourmet. 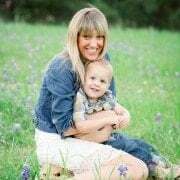 Lisa is an award-winning home chef that creates and posts fabulous recipes accompanied by great photos. 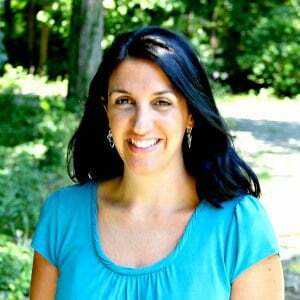 And fun fact — Lisa is originally from Detroit, MI — love featuring a fellow Michigander. We’ll just ignore the fact that you’re not actually here anymore. We’ll also ignore the fact that you attended UofM. I’m a Midwest girl living in New England. 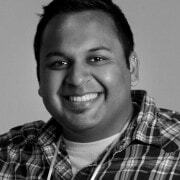 I have a MBA in finance and worked in the corporate world, but I’m now home full-time. I wanted to start a food blog for years but things always seemed to get in the way like moving, working, and having babies! 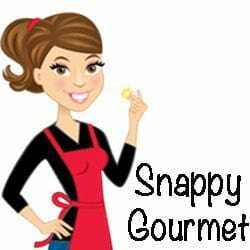 It wasn’t until about 3 years ago after we moved from the Midwest to Connecticut that I started my blog, Snappy Gourmet. I had been entering recipe contests for years and did quite well, but was looking for a new challenge so thought I’d give blogging a try. And now I’m hooked on blogging! 6:00 My husband’s alarm goes off so we all start rolling out of bed. 8:30 Both kids are in school. Time to have some breakfast of an almond flour muffin with fresh fruit, glass of water, and watch the news. 9:00 After breakfast it’s time for those “fun” household chores like laundry, cleaning, running errands, and miscellaneous phone calls. 12:00 Quick lunch of usually soup or spinach salad. I love making big batches of soup and sticking it in the freezer for quick lunches that take no effort. 12:30 After lunch I’m typically working on the internet and blog. Creating recipes, taking pictures, and answering emails. 3:30 Kids are home from school. Enjoying a chocolate banana smoothie with them and getting started on helping them with homework and after school activities. 6:00 Dinner time! Dinner is usually whatever blog recipe or creation I was working on in the afternoon or whatever I can get on the table quickly. 7:30 After dinner, I’m rushing around getting the kids to bed and everything ready for the next day. 8:00 After kids are in bed, it’s quiet time with my husband and answering emails. My must-have kitchen tool is my food processor! I use it almost every day! I love when my kids get home from school and we enjoy a quick smoothie and snack and talk about our days before the stress of homework sets in. I love Napa Valley and would love to go there every year. I’ve been there a few times over the last 5 years and just can’t get enough of it. It’s such a beautiful area with a lot of quaint restaurants and stores. And of course all the wineries are a nice bonus! I would love to go to Italy someday for a whole summer. I’d love to take some cooking classes and explore the whole country. “Don’t sweat the small stuff” Life is so short and this quote always reminds me to enjoy each day and not get worked up and upset about things that don’t really matter. I have hundreds of cookbooks so hard to pick a favorite. One of my first cookbooks ever was the Better Homes and Gardens Cookbook and it’s still my go-to cookbook for basic recipes and cooking tips. 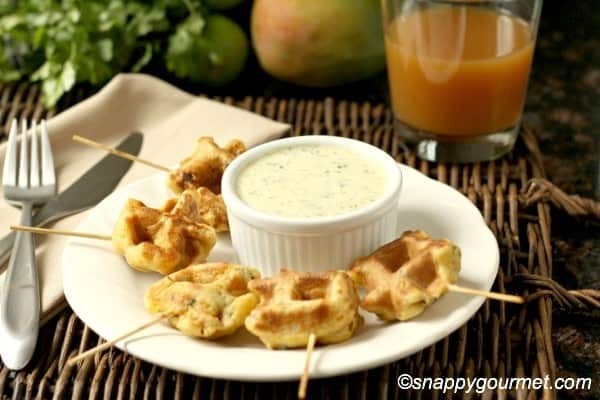 One of the recipes I’m most proud of is my Caribbean Shrimp Stuffed Waffle Pops. They sound a little crazy, but they’re so fun and tasty! 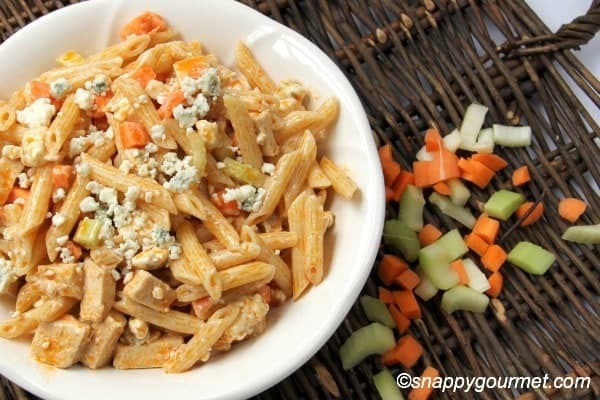 I think my most popular recipe is a tie between my Cookies ‘N Creamtini and my Buffalo Chicken Pasta Salad. My cocktails and buffalo inspired recipes always seem to get a lot of love! Definitely ice cream! I could eat a BIG hot fudge sundae every day! I’ve learned that blogging is A LOT more work than it looks. There’s so much time and effort behind the scenes that most people probably don’t realize. The most challenging part about blogging for me is keeping up with the behind-the-scenes tech stuff. There are always technical issues that need to be taken care of and that can be very time consuming. My best advice for someone who wants to start a food blog would be to try to be original and creative. There are a lot of blogs out there, so anything you can do to set yourself apart is a big bonus. Thanks Lisa! 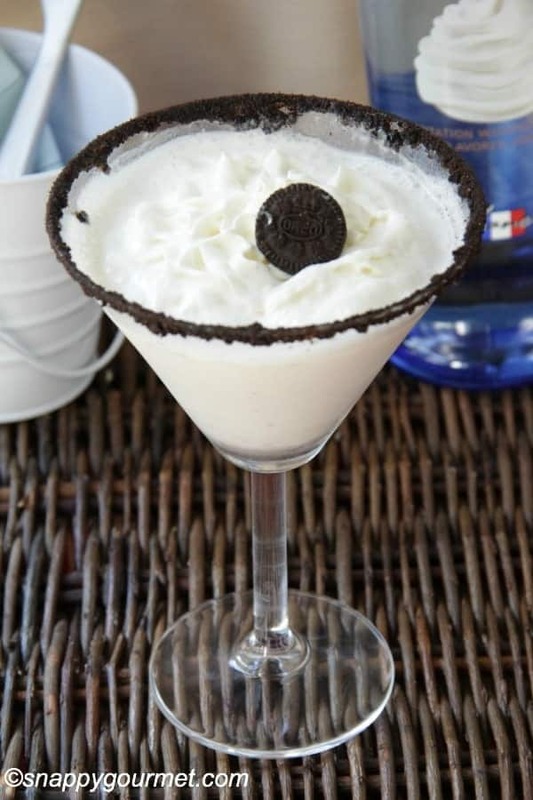 I’m craving that Cookies ‘N Creamtini now, big time! You can find more of Lisa on Twitter, Facebook, Pinterest, Google+ and Instagram. waffle pops–that’s a new one!